Pope Francis’s visit to Cuba and the United States and his previous efforts to bring about a rapprochement between the two countries brings the world’s attention to three facts. First, Cuba is one of two remaining communist countries in the world – countries dedicated to the belief that individuals have a duty to live for the state. Second, although the United States does not have the freest economy in the world (Hong Kong and Singapore get that honor and we now rank number 16! ), it is the symbolic fountainhead of capitalism – a country whose founding document proclaims the right of everyone to pursue their own happiness. Three, there are still people in the world who contend that communism is better. Here is another stunning fact. The great majority of those deaths were at the hands of true believers -- people who were ideologically driven and were at least nominally committed to making the world a better place. I will state, assert and defend the statement that if you love the poor, if you are a good Samaritan, you must stand for the free enterprise system, and you must defend it, not just for ourselves but for people around the world.It is the best anti-poverty measure ever invented. More than 200 years ago, Adam Smith made a remarkable discovery: you can’t succeed in the marketplace without meeting the needs of others. Competition in the market is competition in meeting other people’s needs. The most successful competitors are the ones who do the very best at meeting other people’s needs. All the charitable institutions in the world over the course of the last decade have not met as many needs as the market meets in a single hour. The marketplace uniquely melds altruism and self-interest. Take Bill Gates, the man who pioneered the personal computer revolution. By empowering computer users everywhere, he became the world’s richest man; and now he is giving all his wealth away. Was he motivated by selfishness? Or was he altruistically trying to create the greatest good for the greatest number? The beauty of the marketplace is that Gates’ motivation doesn’t matter. You get pretty much the same result either way. In a voluntary exchange, both parties are made better off. Moreover new entrants into a real market are opportunities for more mutually beneficial exchanges. But under zero sum rationing, other people are a threat. One person’s gain is invariably another person’s loss. One person’s place in the bread line is a place another cannot have. One person’s state-owned housing unit is an apartment another cannot have. It is under statism, not capitalism that the powerful exploit the powerless. And unlike Bill Gates, socialist rulers derive their income by theft, not by trade. Fidel Castro’s former bodyguard Juan Reinaldo Sánchez says that the communist leader “lived like a king” and “ran country like a cross between medieval overlord and Louis XV.” While ordinary Cubans stood in breadlines and suffered the effects of a declining economy, Castro had his own private yacht and his own private island -- a luxury Caribbean getaway, complete with dolphins and a turtle farm. In Havana, he lived in an immense estate with a rooftop bowling alley, a basketball court and fully equipped medical center. 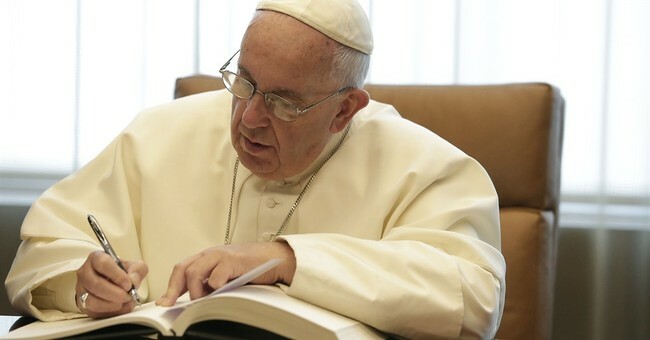 I’m aware that on the Pontiff’s way to Washington, the Vatican let it be known that “the Pope is not a liberal.” I am also aware that the wording in encyclicals is often produced by the jockeying and maneuvering of insiders who want to see their favorite idea or phrase blessed by the holy father in in print. Still, the world would be so much better off if Rome would pay better attention to science – both the science of economics and the science of climate. Everything that is now being done by governments around the world to affect climate change is creating the biggest burdens for those at the bottom of the income ladder. Encouraging the wrong behavior in this regard will only hurt those the pontiff says we should be helping. And, as the 20th century so clearly shows, bad ideas about economics not only cause harm. Bad political economy kills.